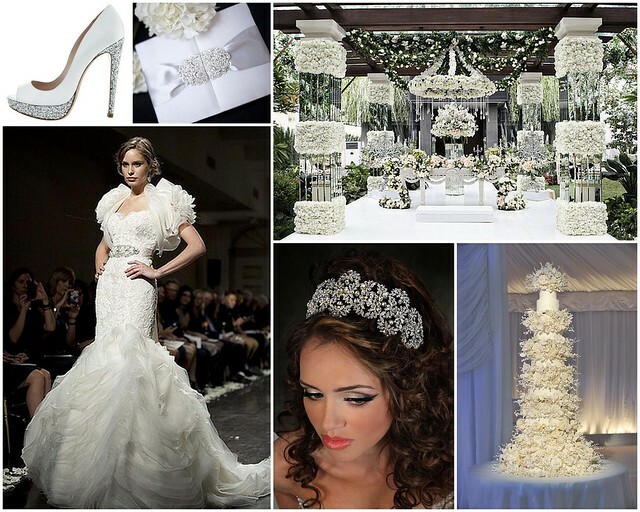 Craving an opulent wedding rich with sumptuous details and textures? Have we got some inspiration for you! Modern glamour girls can balance luxury and elegance by layering textures and details. Consider a sophisticated silhouette with classic elements, statement-making bridal hair jewelry, and to-die-for shoes! For lifelong romantics, mix sleek and soft. A wedding gown adorned with beading and a gossamer skirt is divine when paired with a brilliant bridal headpiece. Add some dreamy heels along with a lush bouquet and you’ve got a look that whispers of the sumptuous celebration ahead. To find bridal accessories, veils and headpieces that harmonize with your opulent bridal style, visit us at our Brooklyn boutique! 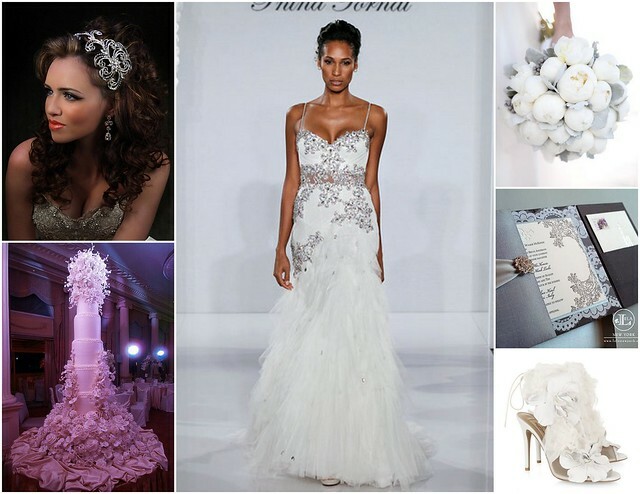 This entry was posted on Tuesday, March 20th, 2012 at 9:30 am	and is filed under Bridal Trends, Inspiration. You can follow any responses to this entry through the RSS 2.0 feed. You can skip to the end and leave a response. Pinging is currently not allowed.